Specialty: Be expert in advanced stage cancer comprehensive therapies such as liver cancer, lung cancer, digestive tract and head and neck tumors. With cancer clinical experience for more than 30 years, Dr. Wu Qingkai has rich medical theoretical knowledge and clinical experience. With the help of skills of dealing with all kinds of cancer and combining with traditional Chinese and western medicine, Dr. Wu has made great achievement in advanced stage cancer’s comprehensive treatments, especially in lung cancer, esophageal cancer, liver cancer, nasopharyngeal cancer and ovarian cancer, etc. 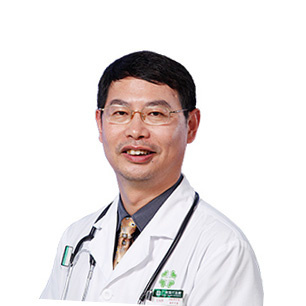 Dr. Wu Qingkai has been engaged in cancer clinical work since he graduated from Henan Medical University in 1982. He deeply understands that a good doctor requires not only superb knowledge including clinical medicine, psychology and sociology, etc., but also need patience, sympathy and empathy. Not only need to acknowledge every patient’s condition, but also require paying attention to emotional change. In more than 30 years of working as a physician, Dr. Wu has become member of Chinese Medical Association, cancer branch of Chinese Medical Association and Zhuhai Psychological Society, etc. and also attended the first ASEAN academic forum of tumor invasive treatment in 2015 and “Stay with Love, Fight against Cancer” in Indonesia.